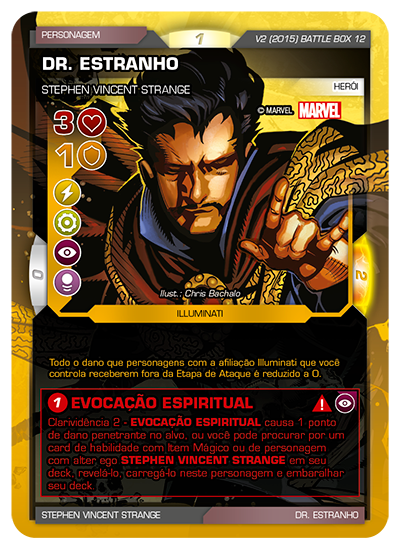 Conspiração Illuminati é o terceiro volume da série Battle Box de Battle Scenes, um card game colecionável com os personagens Marvel, desenvolvido no Brasil por MagicJebb e Copag. 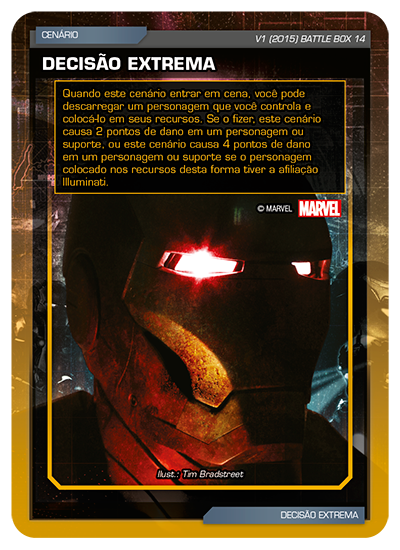 Fique de olho em www.battlescenes.com.br e confira mais novidades. 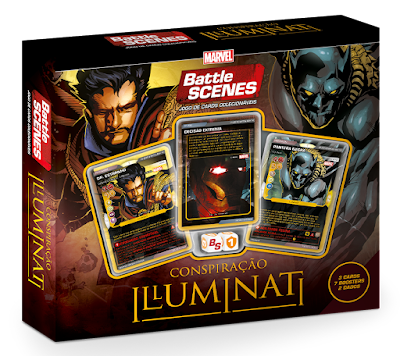 Conspiração Illuminati (Illuminati Conspiracy) is the third Battle Box set of Battle Scenes, a collectible card game presenting Marvel characters, developed by MagicJebb and Copag. 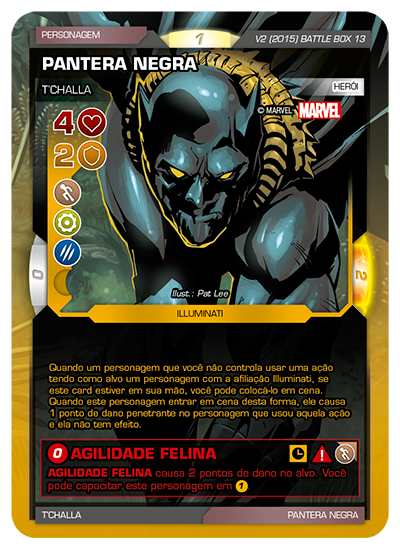 Take a look at www.battlescenes.com.br to know more about this game that is becoming a huge success in Brazil. Chegou o Core Set 2019! Visite nossa loja e confira nossos preços! registradas de Wizards of the Coast, Inc., uma subsidiária de Hasbro, Inc.